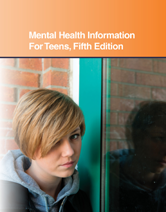 Mental Health Information for Teens, Fifth Edition offers updated information on mental health and its importance. It presents facts about the causes, warning signs, and diagnosis of mental illnesses, and it explains how the adolescent brain differs from the adult brain. Also discussed are specific disorders, mental health treatment and the consequences of not recieving treatment. Chapter 3—Why Is Mental Health Important?